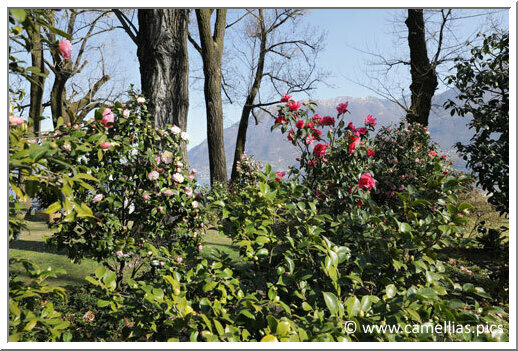 Locarno (in Switzerland, in the "Ticino" region) benefits from a climate very adequate for camellias. 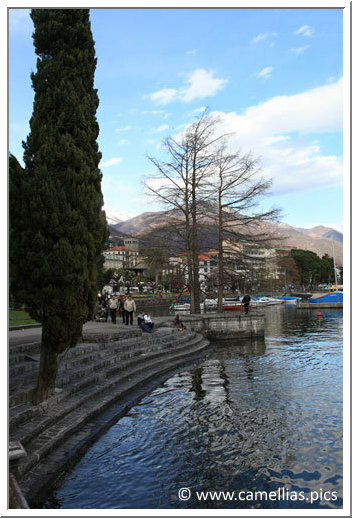 This region is very sunny and has gentle temperatures. 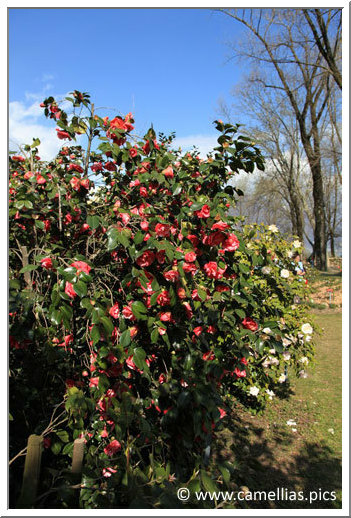 The "Lago Maggiore" brings an humidity appreciated by camellias and soften the temperatures. 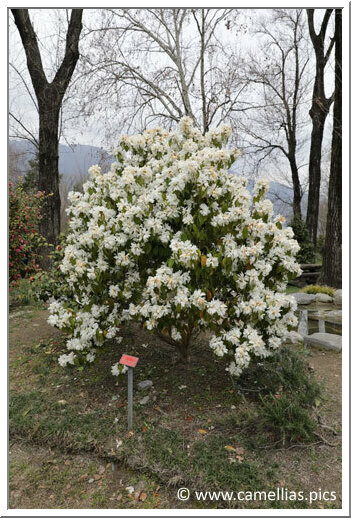 Moreover, the soil is acid and particulary adapted to their culture. 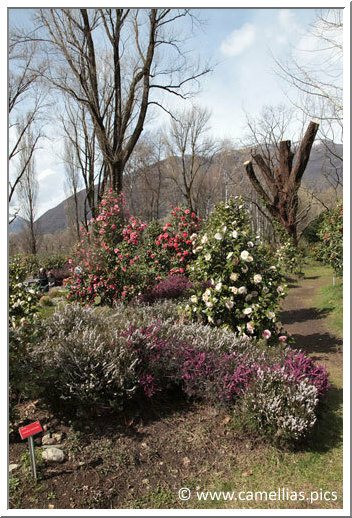 This is why so many parks, public or private gardens and also nurseries can be found. 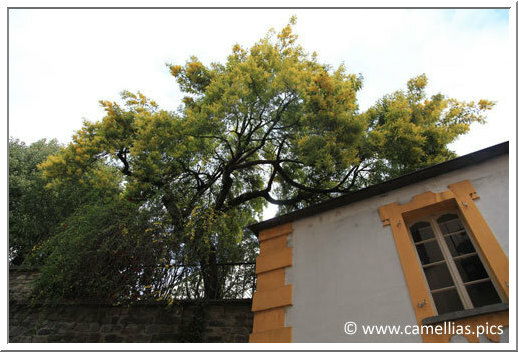 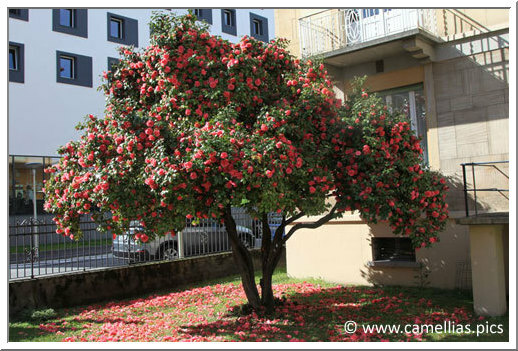 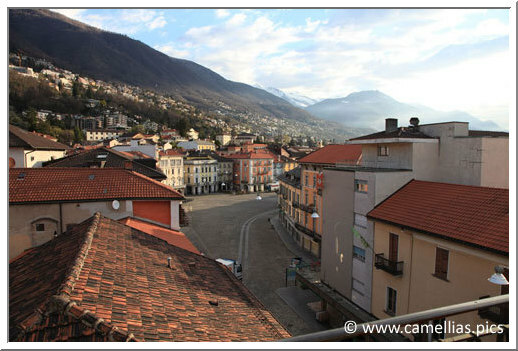 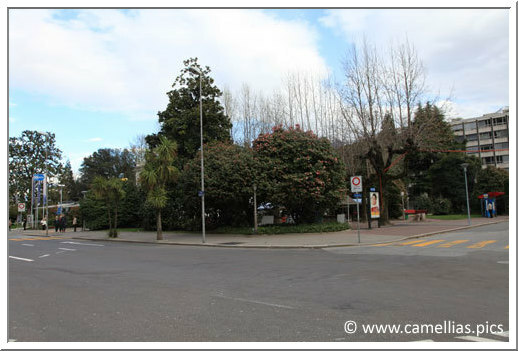 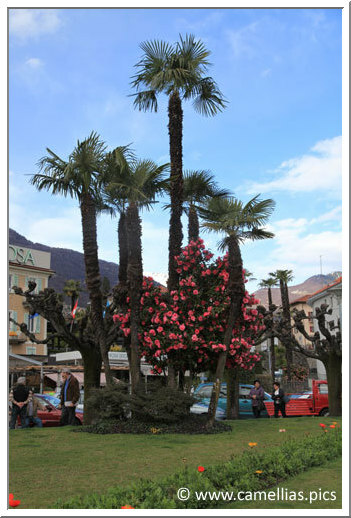 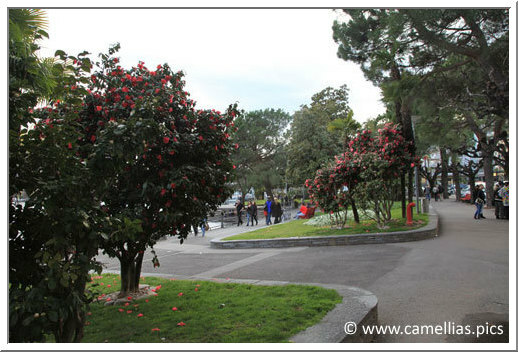 All the city of Locarno is dedicated to camellias. 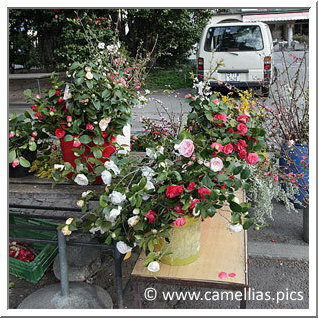 They can be seen everywhere, in containers at the restaurants terraces, in bunch in the city stores, etc. 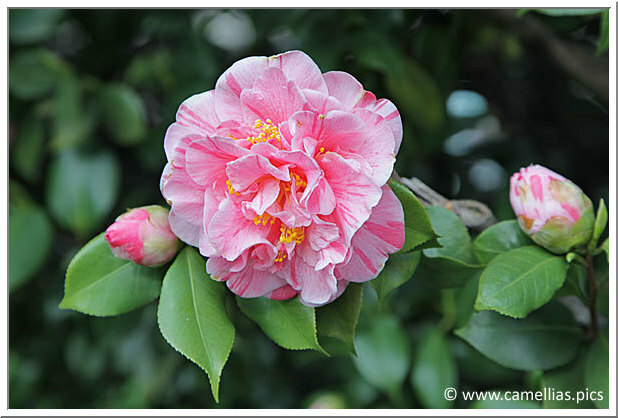 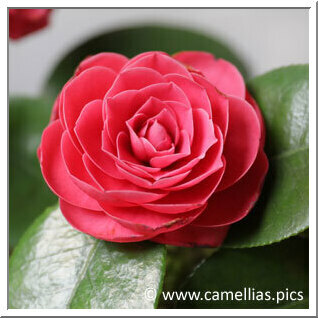 I visited the city during the 14th international Camellia show (in 2011, from 30th march to 03th april). On the right, a small market where merchants sell bunche of camellias. 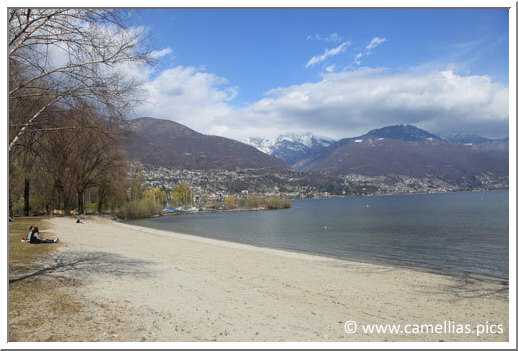 Close to the Lake, another walk. 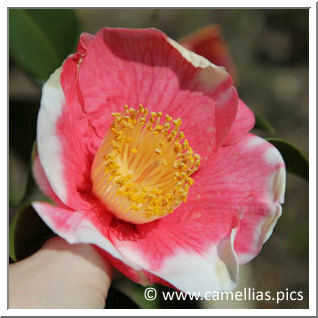 The camellias are old varieties (since 1800) and seven meters in height. 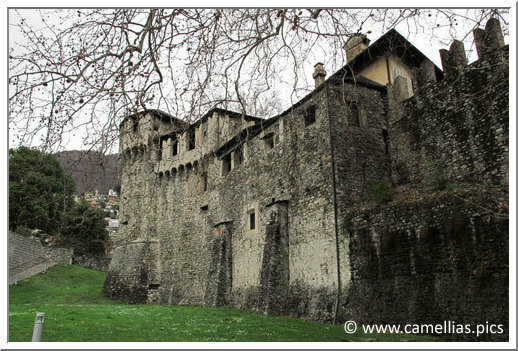 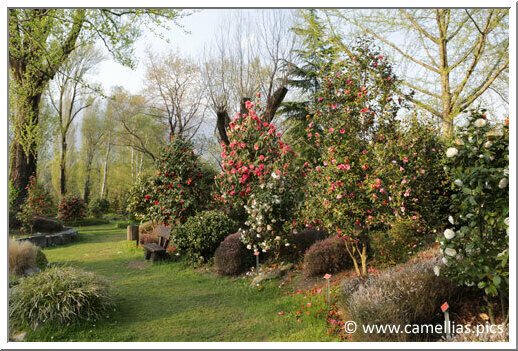 Near the lake, on a 10 000 square meter area, here is the Parco delle Camelie, where their will be soon 900 cultivars. 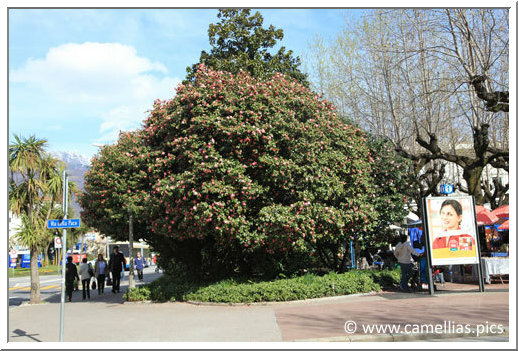 It has been inaugurated in march 2005, after the ICS congress. 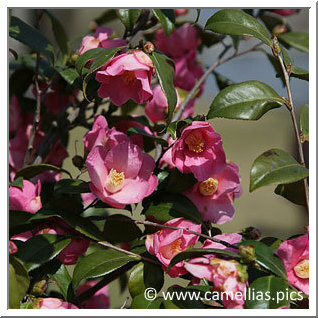 The collection is very wide, with botanics, higos, japonicas, hybrids and sasanquas. 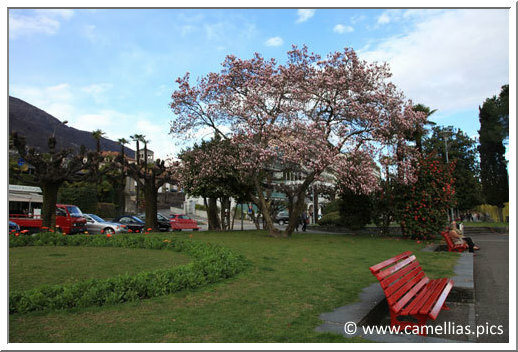 The optimal period for visits is between march and april. 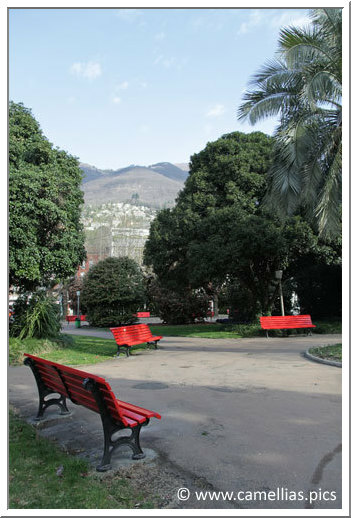 The access to the park is free. 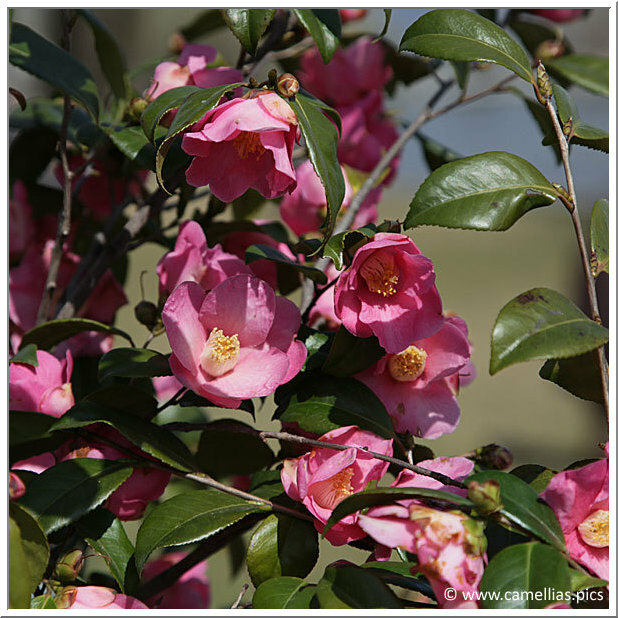 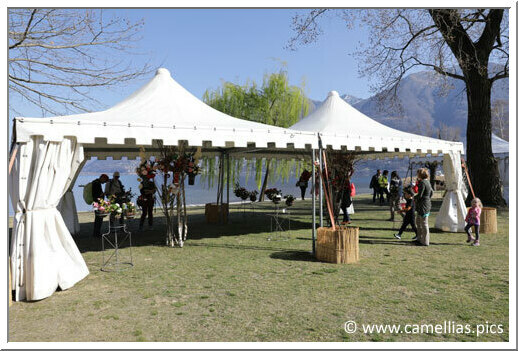 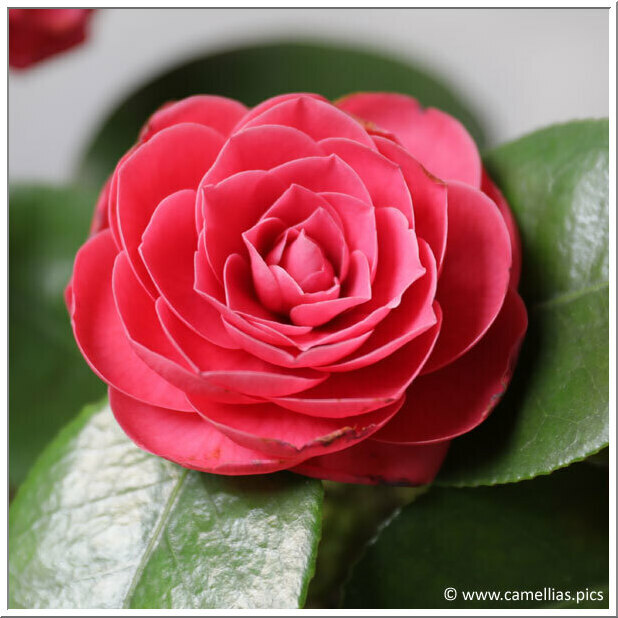 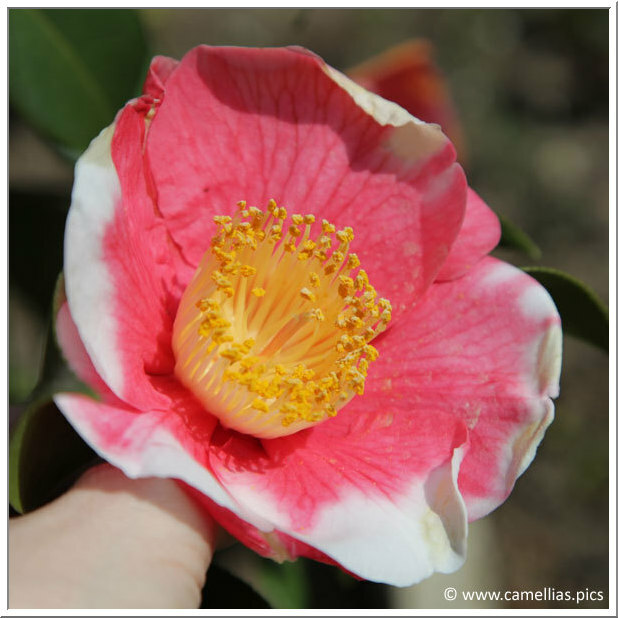 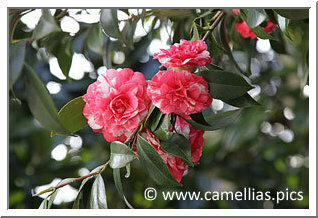 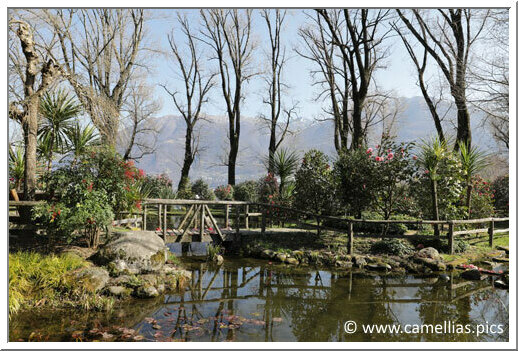 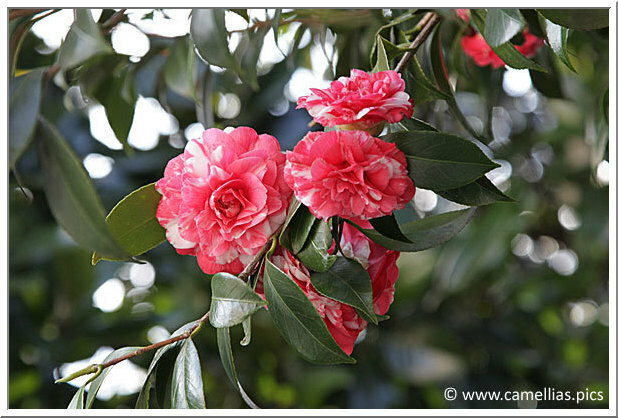 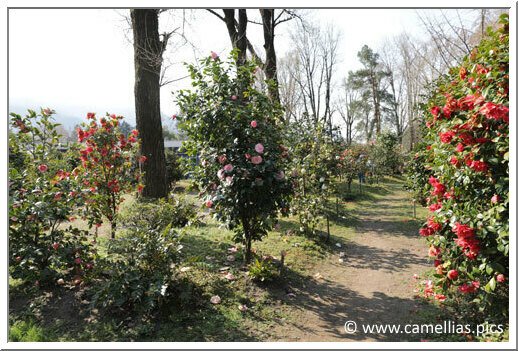 In the Parco delle Camelie is organised (12th edition in 2009) an international Camellia exposition. 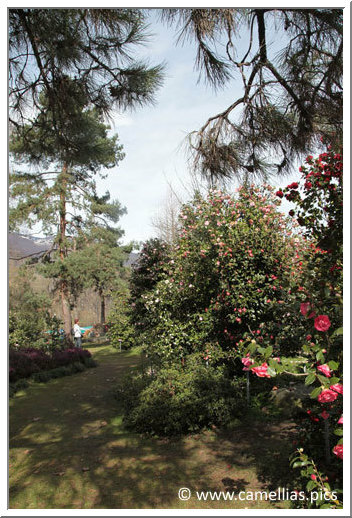 300 cultivars were presented in 2009. 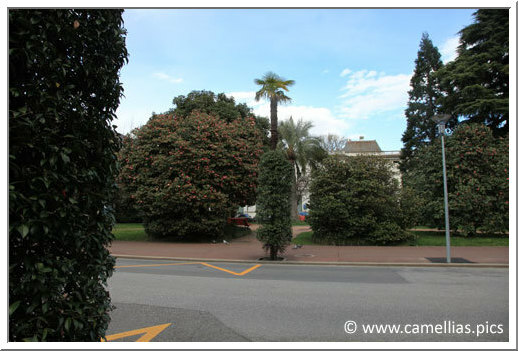 On the left 'E.G. 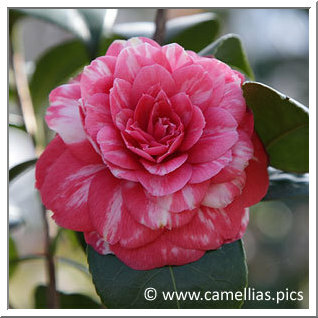 Waterhouse Variegated'.